ILE de France - meherbabatravels jimdo page! 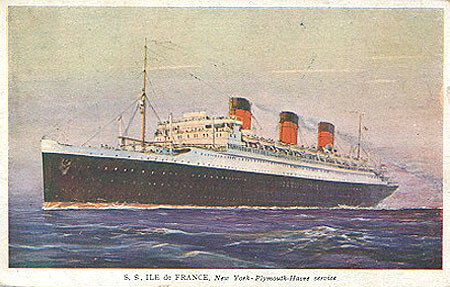 The SS Ile de France was a French ocean liner built in Saint-Nazaire, France for the Compagnie Générale Transatlantique. 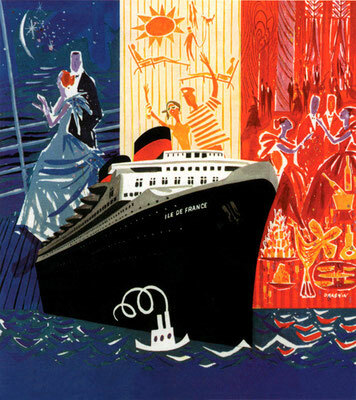 The ship was the first major ocean liner built after the conclusion of World War I and was the first liner ever to be entirely decorated with the Art Deco designs. She was neither the largest ship nor the fastest ship, but she was considered the most beautifully decorated ship built by the French Line until the Normandie. The construction of the Ile de France was part of the agreement between the French Line and the French government dating back to November, 1912. This agreement called for the construction of four passenger-mail ships, with the first ship called Paris and the second, Ile de France. World War I delayed construction until the 1920s, with the Paris being launched 1916 and not entering service until 1921 and the Ile de France in 1927. 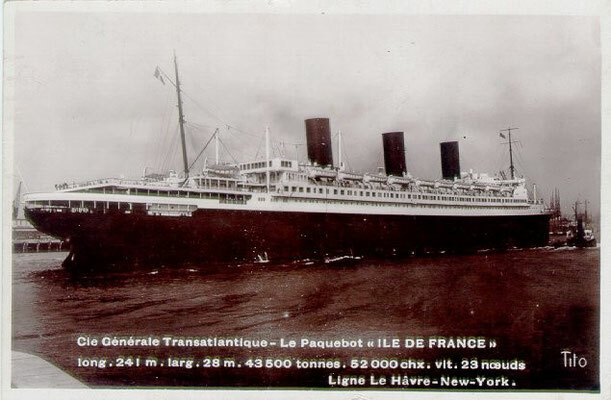 The Ile de France was launched on 14 March 1926 at the Penhoët shipyard and was greeted by thousands of proud government and company officials, workers, press, and French citizens. The ship would undergo fourteen months of fitting-out and left the shipyards on 29 May 1927 for her sea trials. Never before had a ship shown its own style in interior design like the Ile de France. In the past, ships had imitated the shore-style. The Mauretania, the Olympic and the Imperator had all shown an interior that celebrated styles of the past and could be found in any manor or château situated on land. By contrast, the interiors of the Ile de France represented something new. For the first time, a ship's passenger spaces had been designed not to reproduce decorative styles of the past but to celebrate the style of the present. Her fitting-out followed the famous Paris Exposition des Arts Décoratifs et Industriels Modernes of 1925, which gave the world the term Art Deco and inspired the Ile's contemporary style. The ship's degree of modernity was unlike anything previously seen. 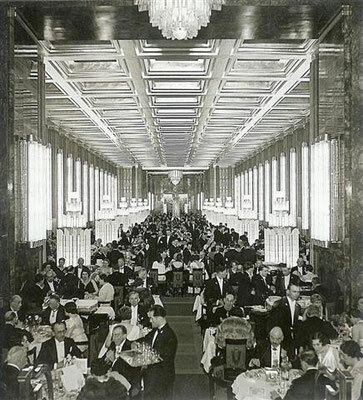 The first-class dining room was spectacular, never before had the traveling public seen such a room of massive simplicity yet startling attractiveness. The dining room was also the largest afloat, rose three decks high, and had a grand staircase for an entrance. As each of the major liner companies subsequently planned their next passenger ships, one of the first steps was to visit this most exquisite, extraordinary and trend-setting French vessel. The first-class lounge aboard the Ile de France. 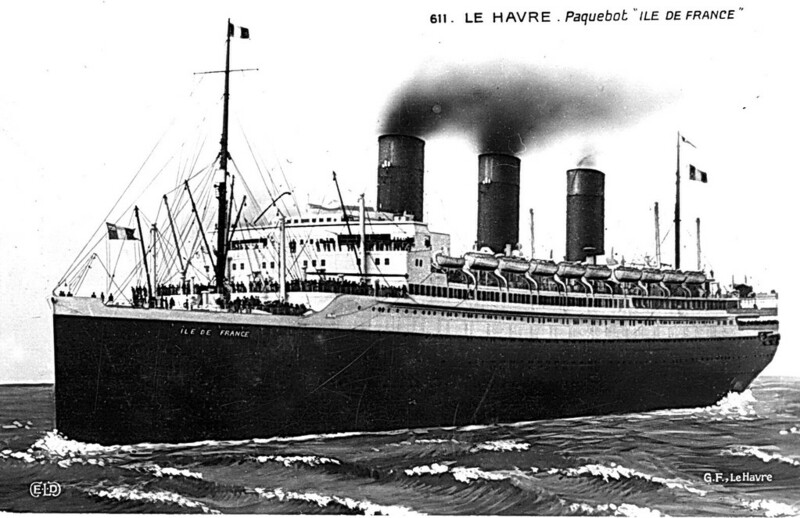 Following her sea trials, the Ile de France sailed to her home port of Le Havre on June 5, 1927. In the following week, acclaim and praise would resonate from the thousands of reporters and French citizens who flocked to the pier to glimpse visit the new ship. The novelty of Art Deco aboard a ship was an immediate sensation and the reaction of the visiting press would be echoed in favorable reviews the following week. On June 22, 1927 the Ile de France sailed from Le Havre for her maiden voyage to New York. 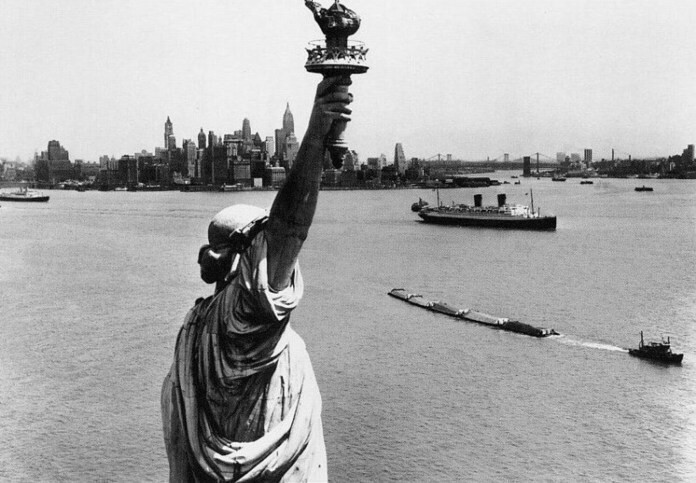 Upon her arrival in New York she received great attention from the American media and thousands of people crowded the docks just to catch a glimpse of the new ship. 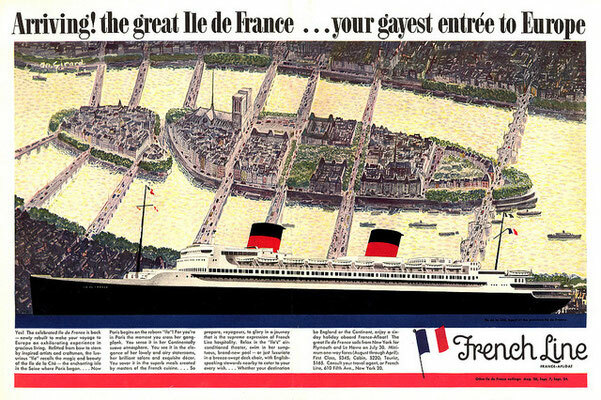 With accommodation for 1,786 passengers, 537 in first-class, the Ile de France, like her running mates the France and Paris, became all the rage. The international Who's Who of politics, aristocracy, business, theater, cinema, arts, and sports boarded the ship at one time or another. 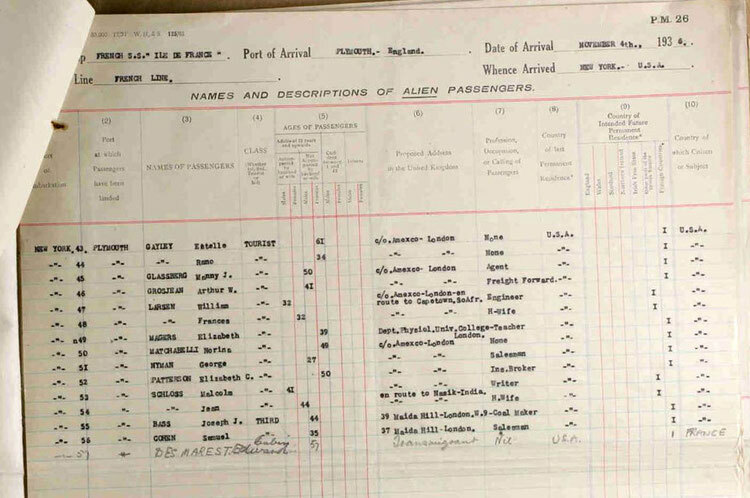 Captain Joseph Blancart and his chief purser, Henri Villar, actually received worldwide celebrity in their own right. 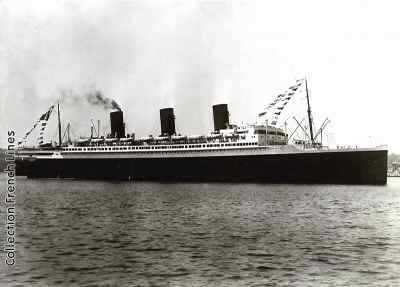 With the contribution made by this splendid vessel, the French Line ended the year 1928 with record earnings. For the first time the company's receipts exceeded a billion francs, and half of this derived from the New York service, which had transported over 90,000 passengers. 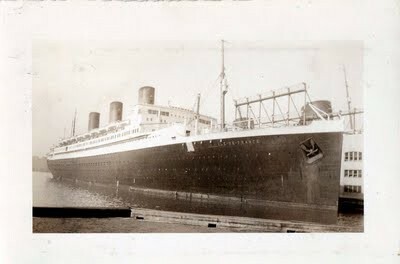 Her popularity was such that by 1935, the ship had carried more first-class passengers than any other transatlantic liner. Passengers took to her immediately, especially wealthy Americans. She quickly became the chosen ship of the youthful, the stylish, and the famous. But they did not choose her for her speed- she was roughly as fast as the Aquitania of 1914, and no larger. Even though the Ile de France could not claim to be the fastest vessel in the world, she briefly pioneered the quickest mail-system between Europe and the United States. In July 1928, a seaplane catapult was installed at the ship's stern for trials with two CAMS 37 flying boats that took off when the ship was within 200 miles, which cut the mail delivery time by one day. This practice proved too costly, however, and in October 1930 the catapult was removed and the service discontinued. In 1935 the Ile de France and the Paris were joined by a new running mate, the brand new superliner Normandie. With these three ships the French Line could boast of having the largest, fastest, and most luxurious ships on the north Atlantic. But this was not to last and two events shattered the French Line's new found prosperity. 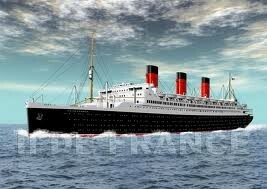 The first occurred on April 18, 1939, when the Paris was destroyed by fire while docked in Le Havre. The second came on September 1, 1939 when Nazi Germany invaded Poland which sparked World War II and put an end to transatlantic traffic. At the war's outbreak, the Ile de France was berthed at her New York pier. Since the French were not anxious to return the ship to her homeland, she was towed to Staten Island by ten tugs and was laid up following special dredging that cost $30,000. Her crew of 800 was reduced to a security staff of 100 while she sat inoperative for the next five months. Then during March 1940, under the command of the British Admiralty, to whom she had been loaned, the ship was loaded with 12,000 tons of war materials, submarine oil, tanks, shells, and several uncrated bombers that were stowed on the aft open decks. 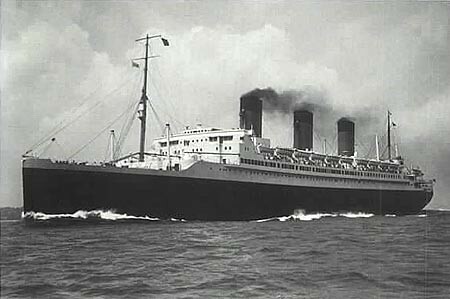 On 1 May 1940 she departed for Europe, veiled in gray and black. From there, she sailed to Singapore where, following the Fall of France, she was officially seized by the British. In autumn 1945, the Ile de France was returned to the French Line after five years of outstanding military service with the British Admiralty. 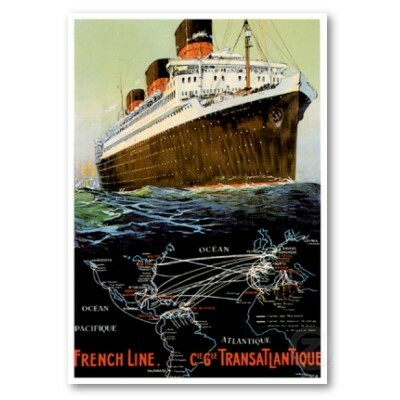 In honor of her wartime performance, British Rail named one of its locomotives Compagnie Générale Transatlantique. At first the Ile was used to ferry American and Canadian troops home. Then in April 1947, she went to her builder's yard at Saint Nazaire for a two-year restoration. The outcome included the removal of her third "dummy" funnel and an upturn of the straight black hull to meet her upper forepeak, in keeping with the French Line's new look as on the Normandie. These changes increased the Ille's gross tonnage to 44,356. She sailed to New York on her first postwar luxury crossing in July 1949. 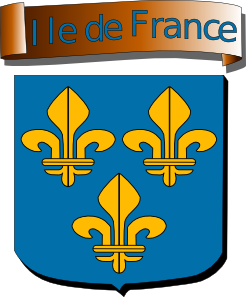 The Ile de France proved to be just as popular as before the war. 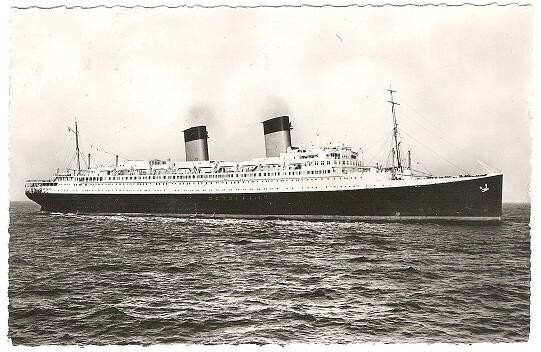 In 1950 she was given a worthy running mate,Liberté, the former German Blue Riband-holder SS Europa. 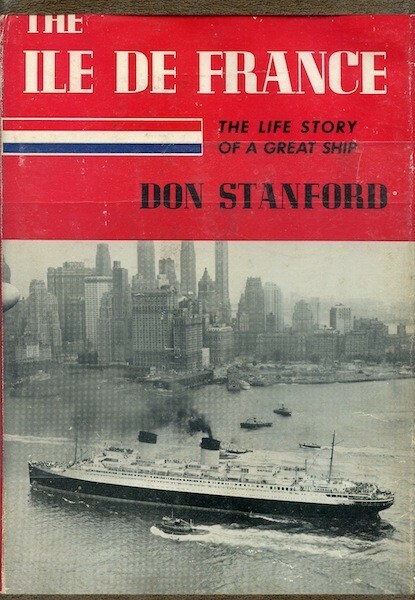 On July 25, 1956, the Ile de France played a major role in the rescue operation after the collision of the passenger liners SS Andrea Doria and MS Stockholm off Nantucket. 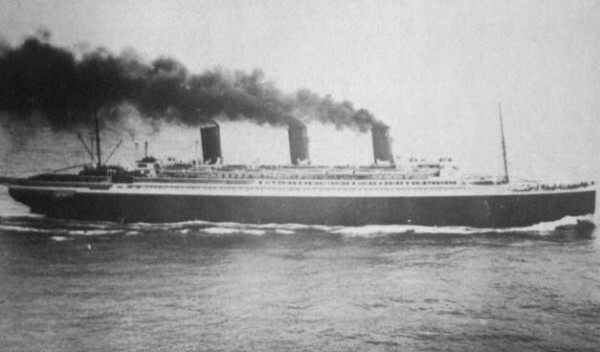 Of 1,706 passengers and crew on the Andrea Doria, approximately 750 were transferred to the Ile de France during the (roughly) 6-hour rescue operation. With the arrival of the jet age and decline of ocean travel the French Line wished to quietly dispose of the ship and spare it an undignified fate. 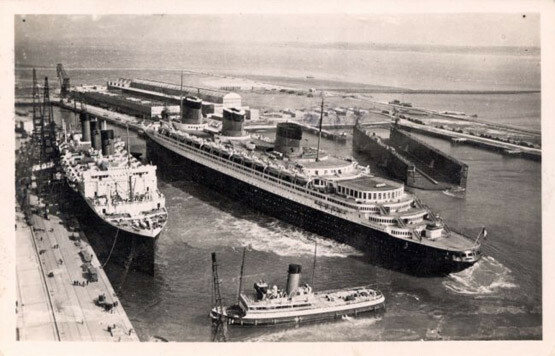 In 1959 the ship was sold to a Japanese breaker and departed Le Havre on February 16. Before scrapping, the Ile de France was used as a floating prop for the 1960 disaster film The Last Voyage under the name SS Claridon. During filming the ship was partially sunk, explosive devices were set off in the interior, and the forward funnel was sent crashing into the deckhouse. The French Line took the filmmakers to court to get an order to have the funnels repainted and bar the use of the name Ile de France from appearing in the film. The ninth floor restaurant in Eaton's Department Store, Montreal, Canada was styled after the first class restaurant on board the ship. 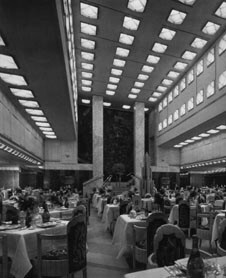 The store owner's wife had just travelled transatlantic on the liner and when asked what style the new ninth floor restaurant should adopt, she requested in the style of the Ile de France. 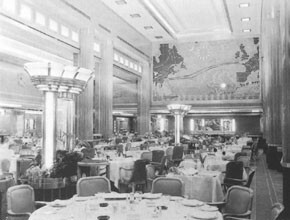 Visitors could dine at the restaurant and gain an idea of fine dining on the high seas in the heyday of the ocean liner, until the closure of Eaton's.